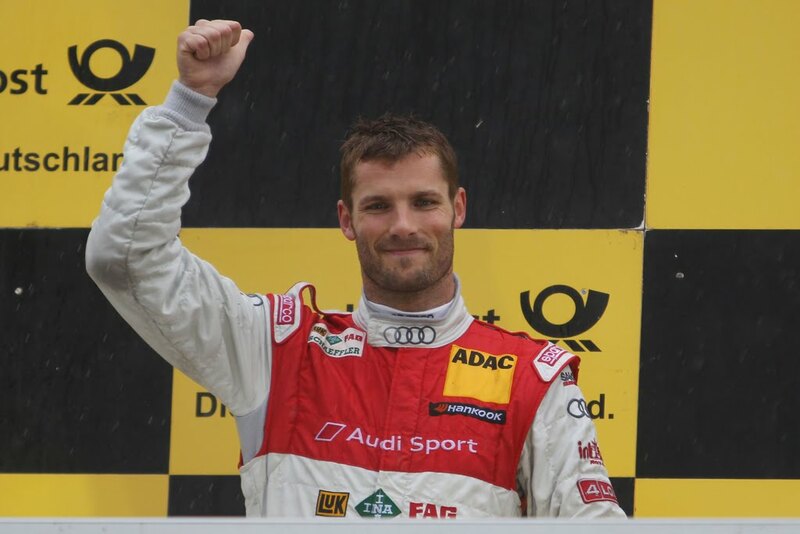 Audi Sport Team Phoenix's Martin Tomczyk would take the third step of the podium following a very wet DTM race at the Norisring on Sunday. Audi's hopes of winning its "home round" would be thwarted partly due to a force beyond anyone's control, mother nature. 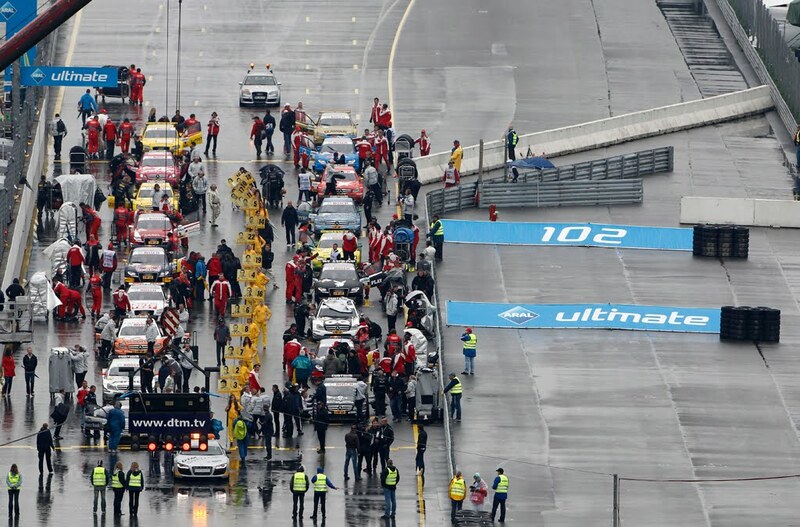 Heavy rain would stop the race early with 64 of 82 laps completed, ending in a 1-2 victory for Mercedes Benz. Full report and more photos after the jump. 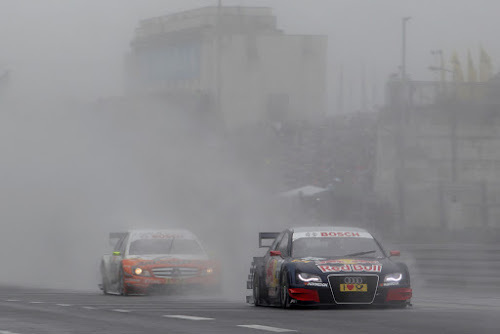 Ingolstadt/Nuremberg, July 3, 2011 – The dream of achieving victory at its "home round” on the Norisring did not come true for Audi this year either. 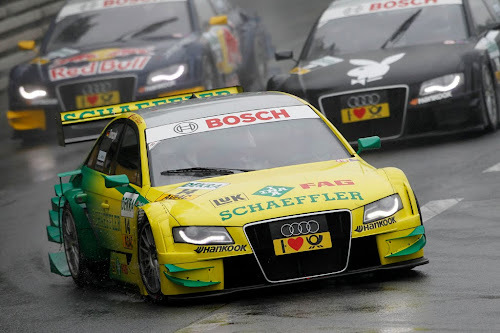 Still, the squad around Head of Audi Motorsport Dr. Wolfgang Ullrich had good reasons to be happy with its performance at the fifth round of the 2011 DTM season and another podium result for Martin Tomczyk (Audi Sport Team Phoenix). Audi again came very close to clinching the long awaited victory at the Norisring. But this time the weather thwarted the plans of the brand with the four rings. 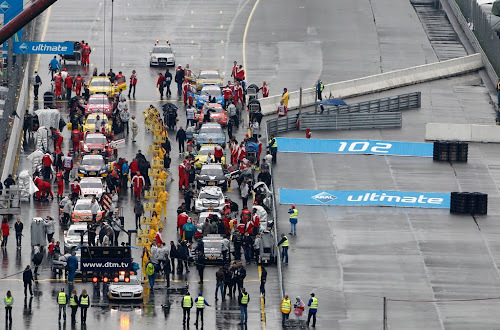 After the race had already been started behind the safety car due to heavy rain it was stopped early after 64 of 82 laps because there was too much water on the track. 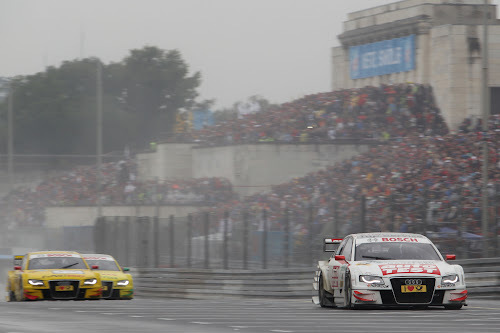 In the first half of the race Mattias Ekström in particular made the many Audi fans around the 2.3-kilometer city street circuit dream of an Audi victory. After the safety car had left the track the Swede from Audi Sport Team Abt Sportsline put pressure on the three leading Mercedes. When the rain became heavier and heavier toward the race’s midpoint Ekström in a thrilling duel with Jamie Green temporarily even took the lead in front of a cheering crowd of fans. However, problems with radio communications and a set of tires that was not working optimally caused Ekström to lose a lot of ground in the crucial phase between lap 47 and lap 58. 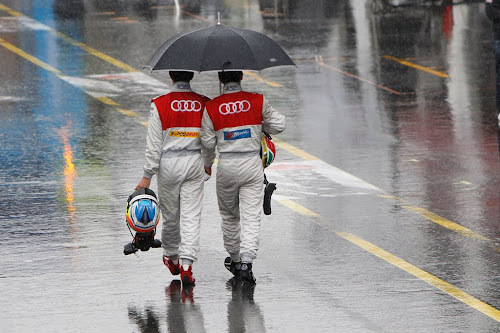 When the safety car was deployed again when the conditions increasingly deteriorated the Swede was only in seventh place any more. 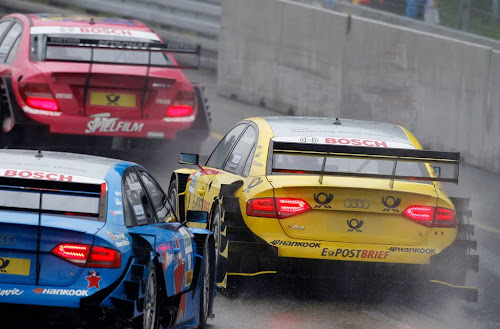 Ekström remained on this position as the race was stopped by red flags behind the safety car when 75 percent of the distance had been completed and was not restarted. Whereas Mattias Ekström was deeply disappointed with the outcome Martin Tomczyk had reason to cheer. The Bavarian who lives in Switzerland pushed forward to third place after having started from position ten on the grid, which made him the best Audi driver for the third time in a row. 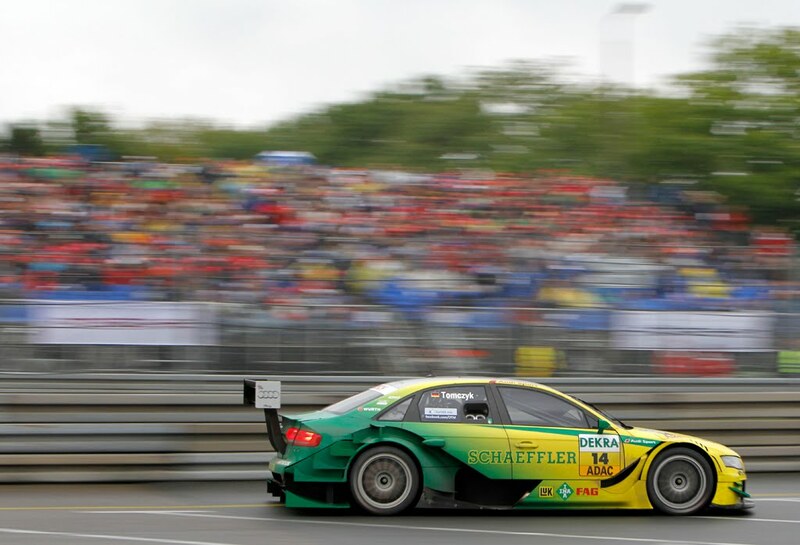 Halfway through the season Tomczyk is the runner-up in the standings, ranking just three points behind Bruno Spengler. 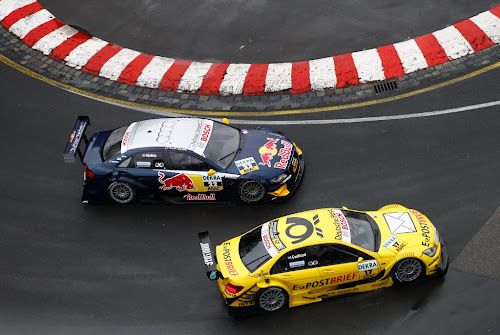 This applied as well to Timo Scheider (Audi Sport Team Abt Sportsline) and Edoardo Mortara (Audi Sport Team Rosberg) both of whose speed was similar to Tomczyk’s and who were running on positions four and five when the race was stopped. Scheider, who like some other drivers, made his two mandatory pit stops in short succession, consolidated his third place in the standings. 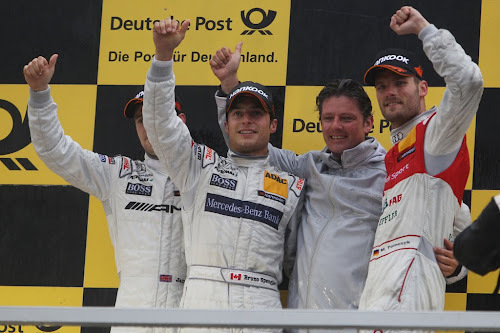 Edoardo Mortara achieved the best result in his still young DTM career. In total, four Audi drivers scored points in front of 124,000 spectators (throughout the weekend). 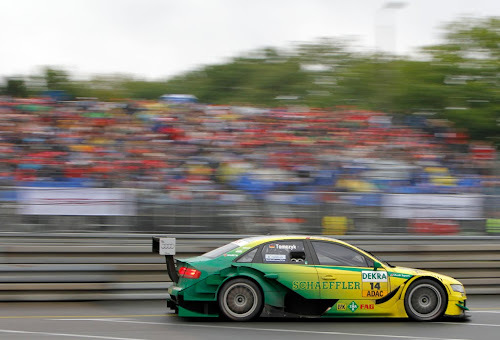 They did not include Miguel Molina, Mike Rockenfeller, Oliver Jarvis, Filipe Albuquerque and Rahel Frey on positions twelve, 14, 15, 16 and 17. 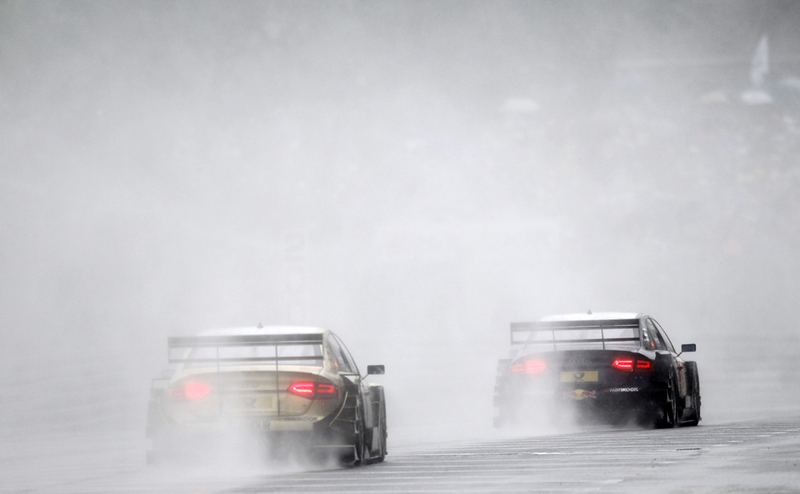 In just two weeks from now the DTM will visit Bavaria again: At the Munich Olympic Stadium the show race will be held on July 16/17.